As you all know by now, recreational cannabis use became legal in Canada on October 17th, 2018. Since 1923, cannabis has been under prohibition and identified as a Schedule 1 substance. This scheduling indicates no determined medical value, and high potential for abuse similar to drugs like LSD, heroin, and ecstasy (MDMA), among others. 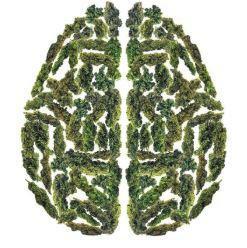 It is no secret that cannabis has significant effects on the nervous system. However, due to the illegal nature of the drug, we have not been able to study it intensely in a clinical setting as we have been able to for other legal recreational drugs, such as alcohol. This all changed on October 17th, 2018. Legalization of recreational marijuana use brings about a huge opportunity to study the medical potential of cannabis, as well as solidify and redefine our current understanding of the drug. It is incredibly relevant, given that cannabis is currently the 2nd most used recreational drug in Canada (following alcohol) despite being illegal until recently. Cannabis is a ~$7 billion/year industry; this money will likely be re-directed towards research, the public health sector and treating addiction. The current research reporting the impacts of cannabis is very biased (indicated by many on the panel) due to flawed experimental designs, and large generalizations made from small samples. The representative from CAMH, who is also an editor for Neuropsychopharmacology spoke about how they are redefining publication criteria to eliminate bias by enforcing pre-registration and publication of negative results, alongside many other high impact journals. We need to create a distinction between medical cannabis use and recreational cannabis use, so they can be studied as independent factors. We will see an emergence of statistics reflective of population patterns of use, long-term effects of persistent use, and a greater indication of the effects of cannabis on mental health. There will be efforts to create congruence between what the public thinks of cannabis use, and what evidence becomes available with an emphasis on educating youth (eligible to purchase recreational cannabis at age 19 in Ontario). Investigating risks associated with use during brain development is being considered a high priority, as youth are considered a vulnerable population. We are going to see a development of cannabis-based drugs; which will enable it to be more of a quantifiable product, and so its optimal doses and uses established (aspirin is made from willow tree bark!). Cannabis contains hundreds of cannabinoids, with varying potential for medical use and associated risk. It is necessary to study and create a distinction between various plant strains and constituents (THC vs. CBD concentrations, etc.) and their independent and combined effects. Legalization brings about a huge demand for research and will undoubtedly influence funding in the direction of neuroscience relevant to cannabis effects. The Canadian Centre of Substance Use and Addiction and the Mental Health Commissions of Canada have indicated an additional 10 million dollars is being allocated to research in these areas. The Canadian Institute of Health Research (CIHR) is releasing an additional $3,000,000 to fund a series of studies across the country with priority being given to mental health funding pools, a widely expanding area of neuroscience research (McMaster has submitted at least 11 applications for this grant!). As a neuroscience community, we are entering a whole new era of research that will persist for decades to come. As young researchers and neuroscientists, we have the opportunity to lay the groundwork for research in this area. We are very fortunate at McMaster to be working in association with the recently established Centre for Medicinal Cannabis Research whose mission is to develop an evidence-based understanding of medicinal cannabis, encompassing both its potential therapeutic effects, and associated risks.